October 12, 2017 by Beeraj Patel, Esq. Each fiscal year, more than 140 thousand employment-based immigrant visas are made available to qualifying applicants, according to the U.S. Department of State. However, not all professionals will fall under every group. There are various categories with different sets of requirements that must be met. To acquire an employment-based visa, you must fall under one of five employment-based preference categories. The EB-1C visa is exclusively reserved for managers and executives who are the most capable in their fields and meet L-1A nonimmigrant standards. The biggest difference between the L-1A and the EB-1C is that the latter allows an alien beneficiary permanent residence. One of the biggest benefits of acquiring an EB-1 visa is that a labor certification is not required before filing a petition. Immigrants under this category also do not need to be sponsored by a U.S. employer. Certain requirements must be met to acquire an EB-1 visa. For example, to obtain an EB1-C, an international manager or executive must have been employed as a manager or executive for at least one year in the previous three years before going to the United States to work in a similar position. Professionals who hold an advanced degree: Must be a degree exceeding a baccalaureate degree, or a baccalaureate degree in addition to a minimum of five years’ experience in the profession. Persons with exceptional ability: The applicant must have a degree of expertise that is significantly above those typically encountered in the arts, sciences, or business. A major advantage of acquiring a green card under category EB-2 is that the process typically goes much faster than with other employment-based visa categories. This is because fewer people meet the strict qualifications. To meet the legal requirements for an EB-2 visa, a person must have earned in advanced academic degree, such as a Master’s, Ph.D., or an M.D. Skilled Workers: Must be able to demonstrate a minimum of two years of job experience or training. Professionals: Must have a baccalaureate degree or equivalent which is required for the job. Other Workers: Must be seeking unskilled labor that requires less than two years of experience or training. 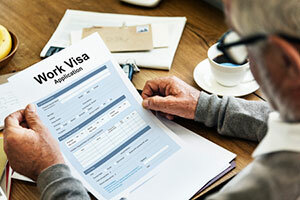 While eligibility requirements for obtaining an EB-3 are less stringent than with the first or second preference, there are long backlogs that exist for visas in the EB-3 category. To obtain permanent residency, an applicant must have a petitioner or employer sponsor him or her through Labor Certification. The family of an EB-3 holder can also gain entry to the U.S. The spouse of the visa holder may be admitted in E3-4, or spouse of a Professional or Skilled Worker, or as a EW4 – spouse of an Other Worker. The spouse is also eligible to file for an Employment Authorization Document. Children under age 18 of the EB-3 holder may also be admitted as E35, or child of a Professional Skilled Worker, or as EW5, child of an Other Worker. Iraqi who has assisted in the U.S.
EB-4 green card holders can live and work permanently in the U.S. They are also entitled to attend private or public schools in the U.S., travel outside the U.S. with few limitations, and sponsor close relatives for permanent residence in the U.S. Requirements to obtain an EB-4 consist of filing Form I-360 with supporting documents. Employment based immigrant visas generally take longer than other types of visas, but the length vary from case to case. Many cases that are delayed are due to errors made by the applicant. 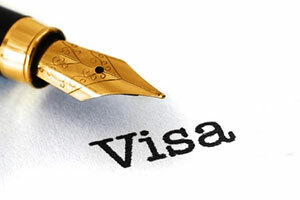 To ensure that your visa goes through without a hitch, consult with an immigration lawyer.